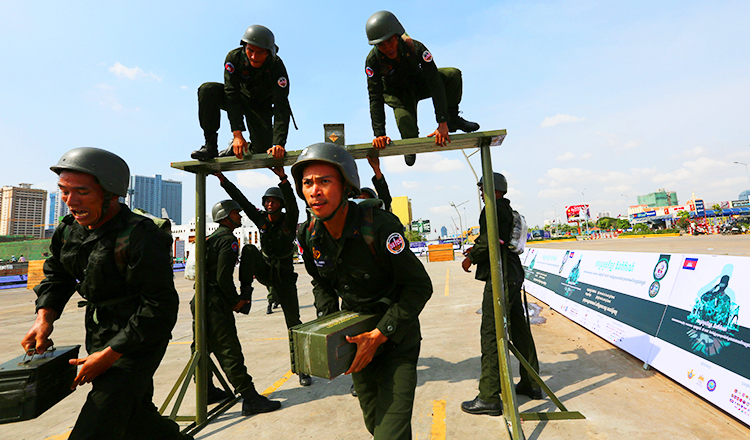 The Royal Cambodian Armed Forces will hold their annual sports competition and military equipment exhibition on Koh Pich from Friday to Sunday to mark the 39th anniversary of the fall of the Khmer Rouge regime. This is the second time RCAF has held the event and members of the public are invited to participate. 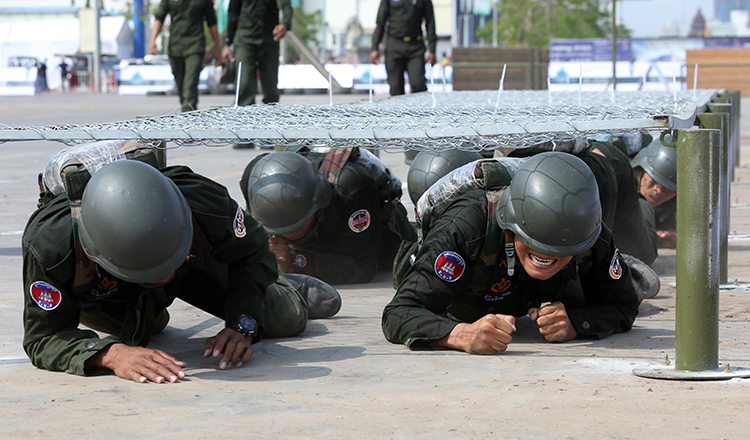 The competition will involve military training such as commando exercises and obstacle courses. There will also be an exhibition of military equipment. Lieutenant General Hun Manet, RCAF’s deputy commander presided over the groundbreaking ceremony for the weekend’s events yesterday morning. 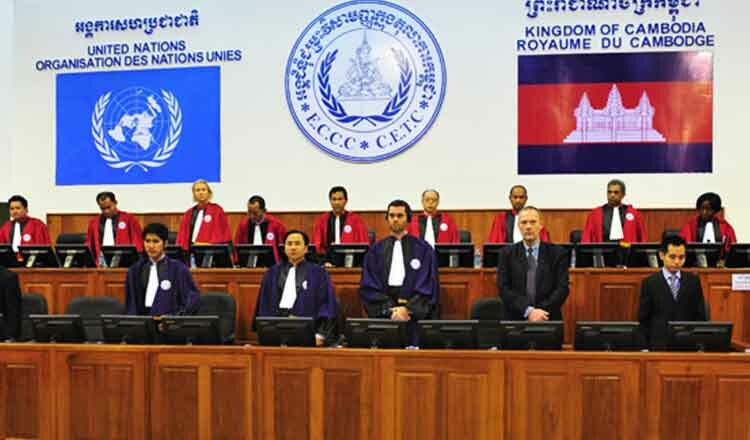 It was attended by many senior officials including General Chuon Sovann, deputy National Police commissioner and Phnom Penh police chief, Lieutenant General Rath Srieng, Phnom Penh military police commander, Mean Chanyada, deputy Phnom Penh governor, and other senior RCAF officials. 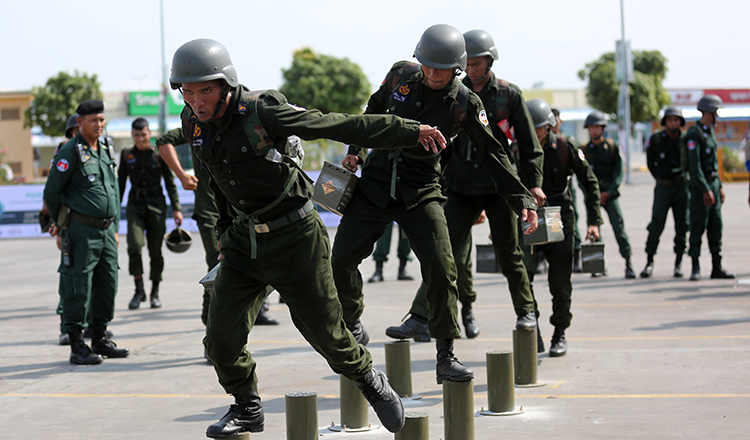 Hundreds of civilians and soldiers will participate in the annual military games. Captain Sok Ny, an officer from RCAF’s sports commission, said yesterday while some participants were practising for the games that the event would benefit both soldiers and civilians, but especially the public who would gain a better appreciation of the role of the military. 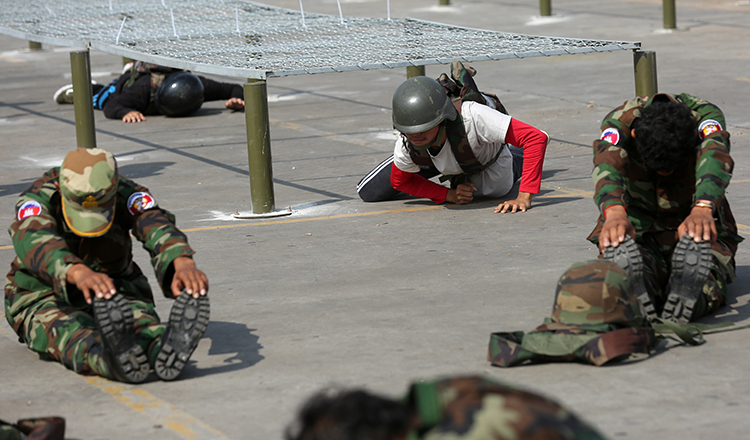 Mr Ny added that the sport competition would also remind soldiers to continue their exercise training. 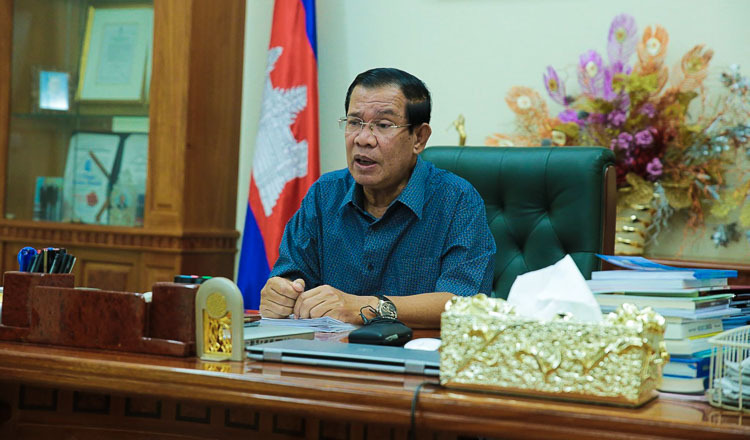 According to a City Hall announcement signed by Phnom Penh Governor Khuong Sreng on Monday, RCAF sport organisers were to move some armoured fighting vehicles and trucks from Brigade 70 to Koh Pich at 12.30am this morning. 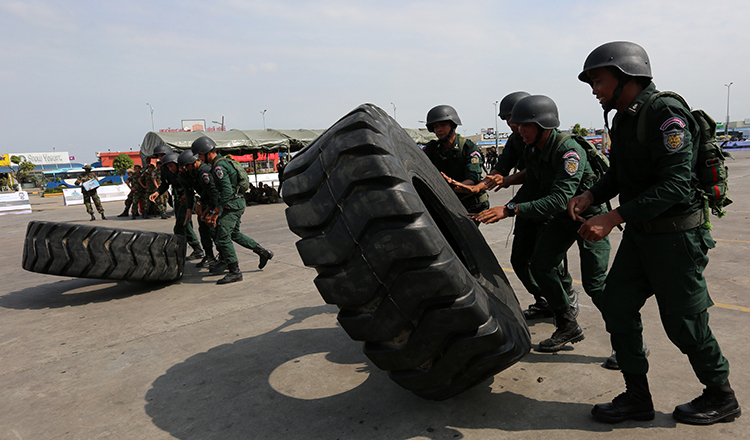 A second group was to move some armoured vehicles and military trucks from the Prime Minister’s Bodyguard Unit in Kandal province’s Takhmao city to Koh Pich at 1am this morning. 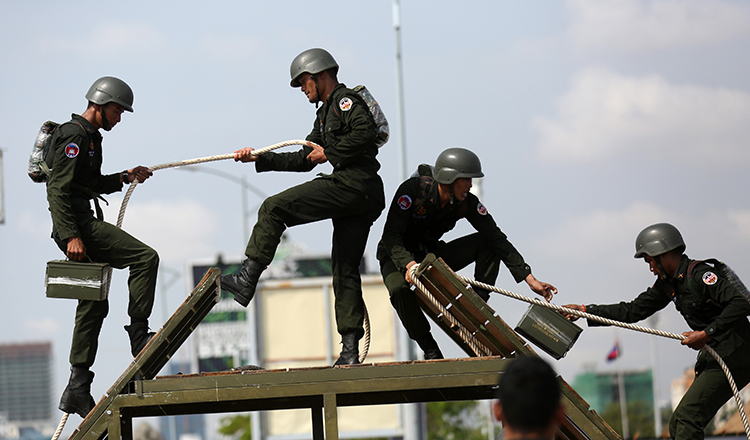 Mr Sreng asked the public to not be alarmed or confused by the troop movements. 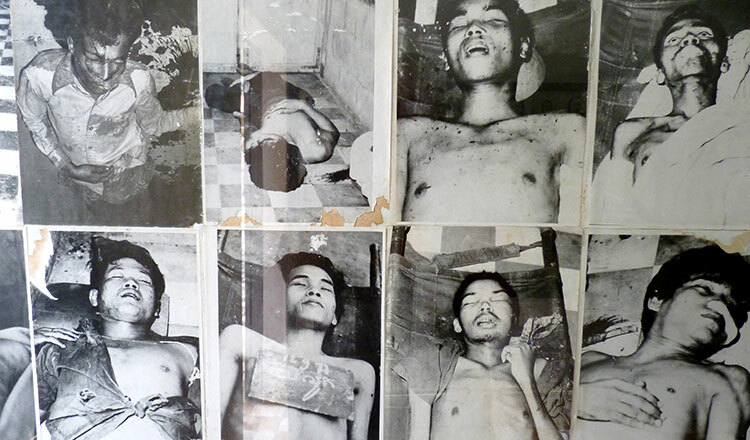 Lt Gen Manet will hold a press conference for the event on Thursday at about 3pm on Koh Pich. 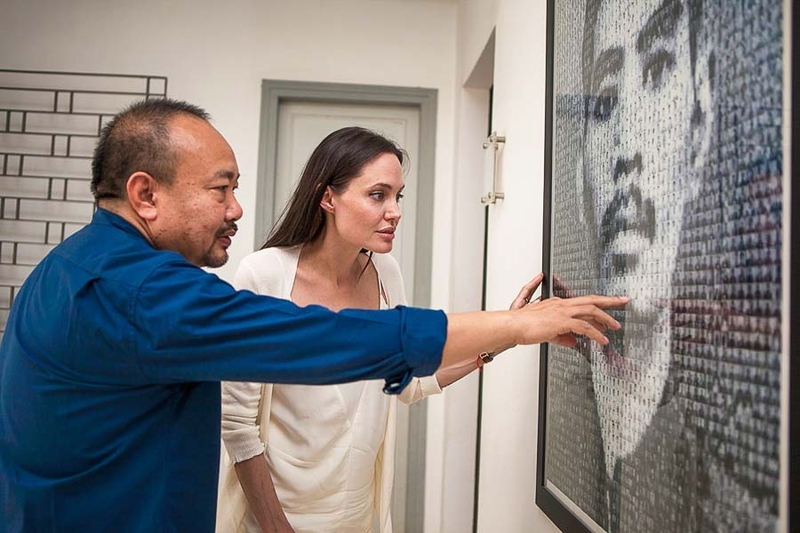 He previously said the event was to promote civil-military awareness and friendship to help the public understand the role of the military.